– Snow Tubing, is a very popular activity in Farellones and the groomed tracks are especially flattened for the exhilarating ride down of individual cameras. – Magic carpet, two carpet style surface lift of 100 mts, returns tubers to the top of the chutes after a stimulating ride down. – Fat Bikes, these bikes were born for mud, dunes and snow. With 45 minute circuits for different levels. El Colorado offers its adaptable Sunset Park for beginners and advanced skiers. Stop to enjoy the sunset and views of the city of Santiago in the relaxing and impresive Andes.The Urban Zone is unmissable, an amusing to observe the new “street” mode, familiar to any ski center with tunnels, ski jumping of teens. Exciting and fun for some to practice and others just to observe. La Parva ski center is a luxury resort and favorite chileans’ destination with international restaurants such as Saint Tropez. After all La Parva had from its pioneers, as André Bossoney, a strong french influence and up today has become a chic resort with a combination of modern and minimalist architecture. 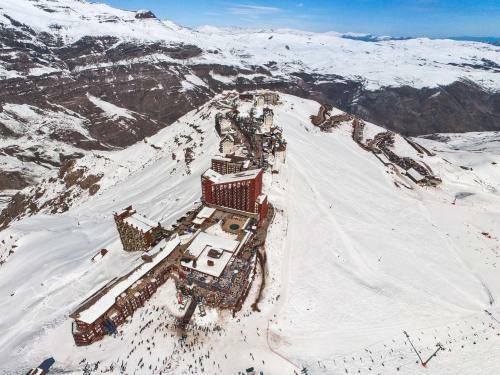 Valle Nevado is a world renowned destination for skiers and snowboarders. Once you experience its vast reaches of Andes powder in a wide-open groomed terrain, you will know why. A magnificent Heli-Ski is available with 1.830 mts. (6000 feet) of vertical drop, one of the top 5 in the world and 2.840 hectares (7000 acres) of skiable terrain. Nightlife and après ski entertainment insuperable. Get ready! — From El Colorado to Valle Nevado: By car 35 km / Skiing 25 min. — From El Colorado to La Parva: By car 5 km / Skiing 10 minutes. This is a fantastic escape to a ski resort in the Andes, traveling at night and waking up in Santiago which is only 45 minutes from the peaks of the Andes. If you come to Santiago to ski why not combine skiing with some of the many excursions to the nearby vineyards in the surroundings of Santiago. Enjoy a wine tasting and get the best of your experience in Chile and know that this destination has been selected as one of the 20 best places to retire recently published by Forbes magazine. Throughout Chile, from the highlands to Patagonia and present in 7 countries of South America, the Cordillera de Los Andes is the longest continental mountain knot in the world. It has about 7.000 km. long, 200 km wide and an average height of almost 4.000 meters. In Chile, the Andes hosts wonderful places that allow the practice of sports such as rafting, mountaineering, skiing and snowboarding. Throughout the country, in most of the national territory, the impressive mountain range overlooks the colorful landscapes in various valleys, with defined seasons and an excellent climate that is only found in Chile, not forgetting that its coastline with risks and Beaches, also extends from north to south across the country, the longest in the world. Our best-selling package, Ski Mix Nieve + Santiago in a combination of lodging in apartments or cabins in El Colorado Farellones plus Sheraton Santiago & Convention Center hotel, with snow and Santiago days included ski and / or snowboard rentals, transfers, And optional to your package in snow like excursions and tours with ski guide to other centers, tours to vineyards, visits to beaches of the Pacific coast with elegant gastronomy in seafood of the day by the port of Valparaíso or Viña del Mar and much more. Our rates do not include de ski passes. However, and to make your winter vacations and stay easier, you may request this service to us and we will reserve them in advance to avoid crowds at cashiers and waiting in lanes. Our reception staff will gladly look for the best offers on ski passes and make the reservation on your behalf. Let us know your preferences. Experience the Viñas Tours near Santiago. Value for person USD 52, minimum 3 people. Viña Concha y Toro – Half day One of the largest vineyards in the country and with world-renowned innovation.Located half an hour from Santiago. Tours include; Transfer from your hotel to the commune of Pirque.Tasting of 3 glasses of variety in the best wines and souvenir glasses with vineyard logo. This vineyard has a marked colonial style and was founded in 1980. Tours include; Transfer from your hotel to the vineyard and tasting of your best-selling wine 120. The beginnings of this vineyard come from 1870, with strains coming from France and Germany. Its reputation is marked by international awards of its well-known Riesling wine and for being the first vineyard that exports to the North American market. Located in Calera de Tango on the outskirts of Santiago, 1 hour and a half trip. • Use of sunscreen SPF 40 at all time + and lip balm. • Use of goggles and/or sunglasses with UV protection sunblock. • Ski helmet recommended for adults as well as children. 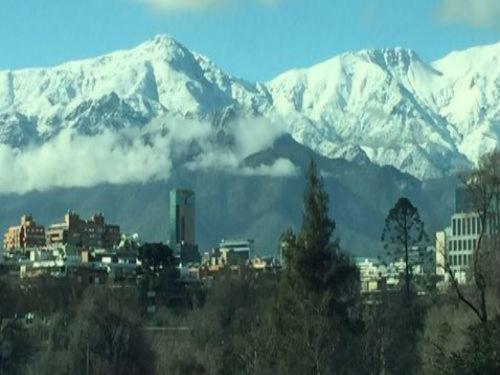 • The temperature in El Colorado Farellones and ski resorts in central Chile is quite nice, with 10 celcius degrees during the day and average of -10 at night. • Electricity in Chile is 220 volts. • Maximum altitude goes to 3.200 mts (10.500 feet) so take it easy the first day. • You nay select where to ski and buy your ticket the same day taking advantage of discounts for each ski resort. 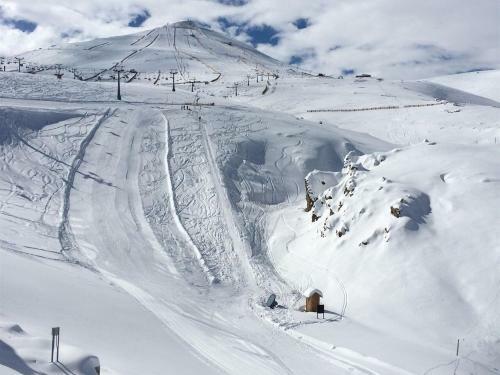 • Skiing to Valle Nevado will take 30 minutes, taking only 3 lifts , 2 chair + 1 T -Bar. Buy your combined pass two centers (El Colorado + Valle Nevado), at the ticket office. The crossing will be enabled if the snow conditions are good. • Your ski performance will improve by wax and edge work to your skis based in the local temperature. Get your edges sharpened every 5-7 ski days depending on hard hard the snow is, it will improve your ski performance. • Watch your altitud. At higher altitudes, alcohol can pack a greater punch than if imbibing at sea-level. Stay hydrated by drinking 8 ounces of water between each drink, and limit your intake.